Since nobody seems to have any marked preferences it seems to fall to me to make a dictatorial decision. MWAHAHA! Ok, we're doing doubles - which is handy, as we'd need one more player otherwise to come full circle, and I think it's time to get real. Bar any objections, interjections or other jections I'll send the first sentence out on Wednesday, November 11th, coinciding with the start of the carnival season in Germany, which seems kind of appropriate. Last edited by Pitchwife; 02-22-2016 at 11:55 AM. Subjections? Projections? Rejections? Dejections? Injections??? Oh no... It has begun! First sentence has just been ejected, I mean sent. Here we go. Please check your PMs regularly, and/or your e-mails if you get notifications for PMs and actually read your emails more often than you check the Downs (apparently this happens). Taking a page out of Lommy's book, I'd like you to get back to me with a sentence within 3 days, a picture within 5; doing faster will be rewarded with special appreciation. Keep it short, crisp and cryptic - and most of all, as always, have fun! Also sign ups are closed. Halfway through the dark, and we're half through the game! Prepare for surrealist stirrings in spring. How far is this phone call? Two to go. Shouldn't take too long now. Once upon a time Pitchwife was sitting at his desk and compiling viewing statistics for Minhiriath Transmitting Variety (MTV) to improve his pension plan. "Goldberry felt left out when Gandalf and Bombadil celebrated their reunion by drinking all night while watching the Arda Cup," he wrote; but on second thought he decided to protect Goldberry's privacy, scrunched the page up and tossed it out of the window. Firefoot, who just happened to pass by, was so impressed by this masterpiece that she had to tell Nogrod about it. 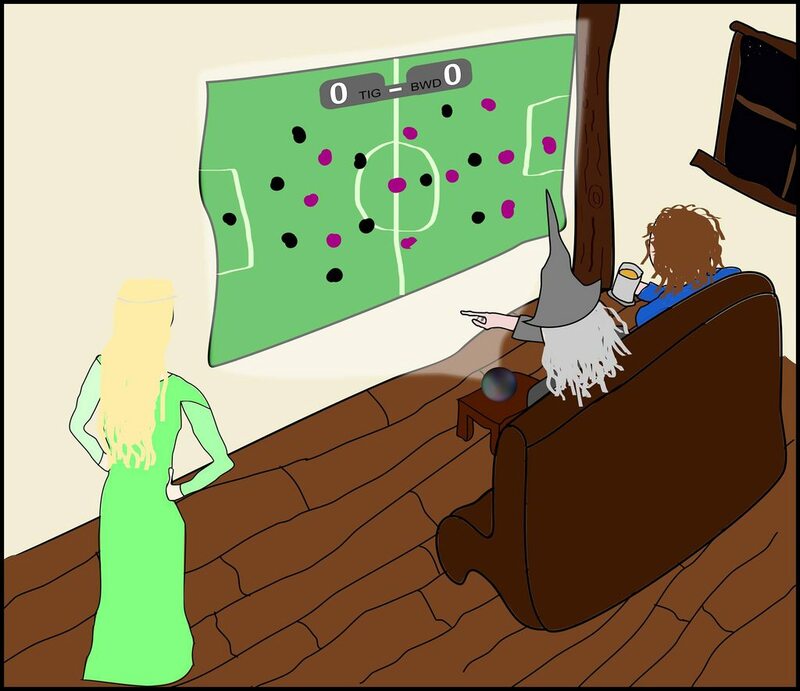 "Galadriel," she exclaimed, "was indignant to find that Gandalf and Pippin were using the palantir as a big screen projector to watch a soccer game." 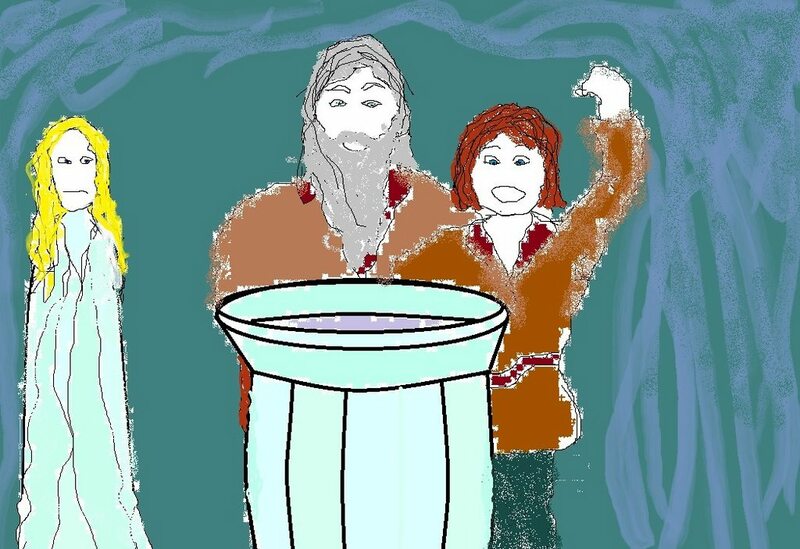 The phenomenon was seen even in far-off Canada by none other than Galadriel herself, the 55th of her name, who wasn't amused to find that Gandalf and Frodo were misusing Galadriel's mirror to watch reality shows. 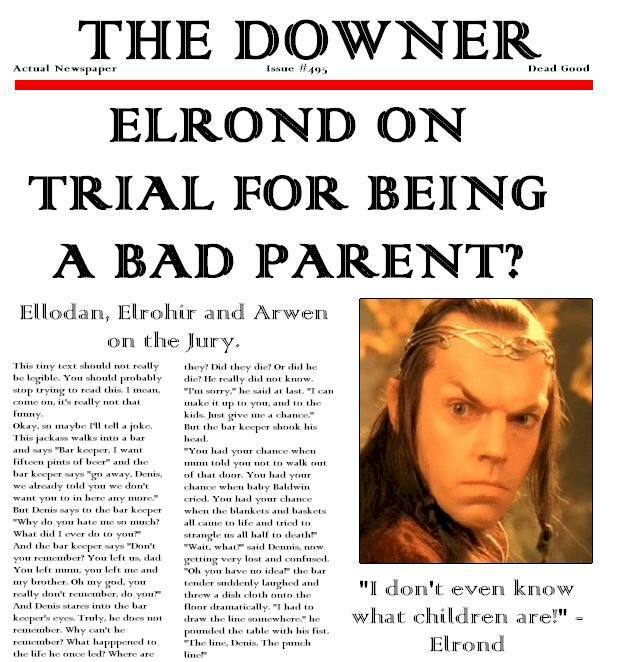 "Elrond's parenting hits the headlines yet again," sighed Eönwë, reading the Downer at breakfast, as always (first breakfast, that is, but rumour has it he also reads it at second breakfast, elevenses, luncheon, afternoon tea, dinner and supper). She died of boredom shortly thereafter. Her diary resurfaced in a Finnish second hand bookshop where it was bought by Nogrod. "Some thought that after 7500 seasons the plot-twists and turns of the family-saga of two great brothers' families were starting to repeat themselves," he observed. Formendacil, who had bought one of Gal55's calendars, couldn't contain his disappointment when he found that every single one of its 7500 pages was identical! "The calendar of the Seventh Age was a trifle monotonous," he complained. "Tilion always takes a bow and pines for the glory days of Aule The Smiths during that time of the month," Oddwen commented when he allowed her to look through the glass. 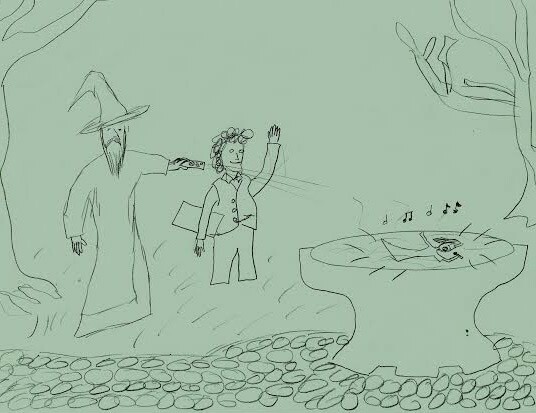 He showed it to his Little Green psychotherapist who analysed it as "Legolas is alarmed by a Gimli-shaped cloud." A hundred years after TGEW's house had fallen apart into a heap of potsherds, archeologist Rikae discovered the fresco during excavations and mailed this description to his colleague, Lommy: "In a green haze, an old elf man yells at a cloud." Befuddled, Lommy turned to Hookbill, the resident expert on things green, hazy or otherwise weird. 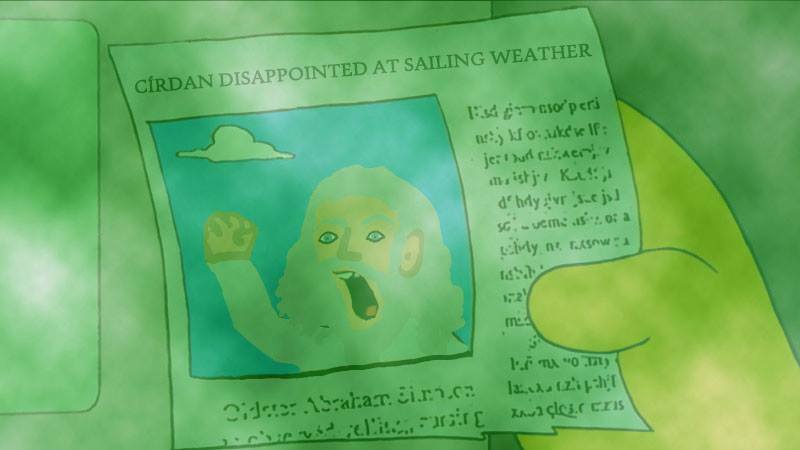 He explained it thusly: "Mighty sea god, Cirdan, curses the single cloud that has thwarted his sailing plans." 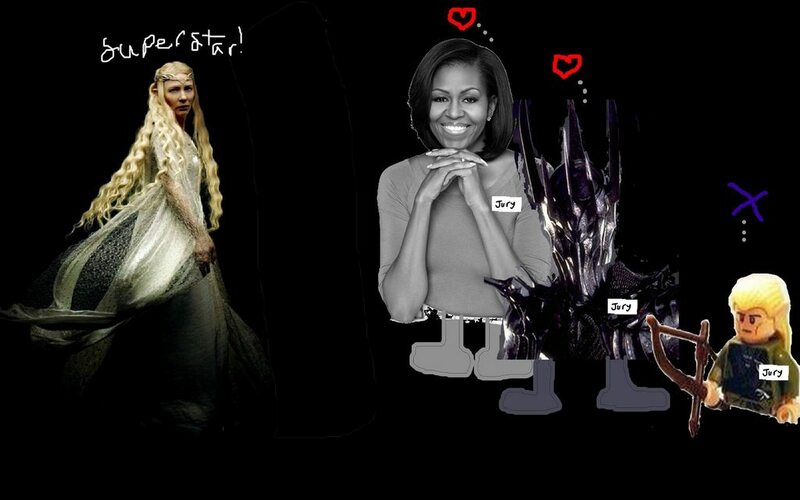 And the mythology of Middle-earth never was the same again. Good gracious me! That was incredible! Rikae's fantasy founding fathers made me laugh. I like how Goldberry turning into Galadriel, who turned into Gilgalad, and then Elrond, and then Cirdan some how! This was wonderful! 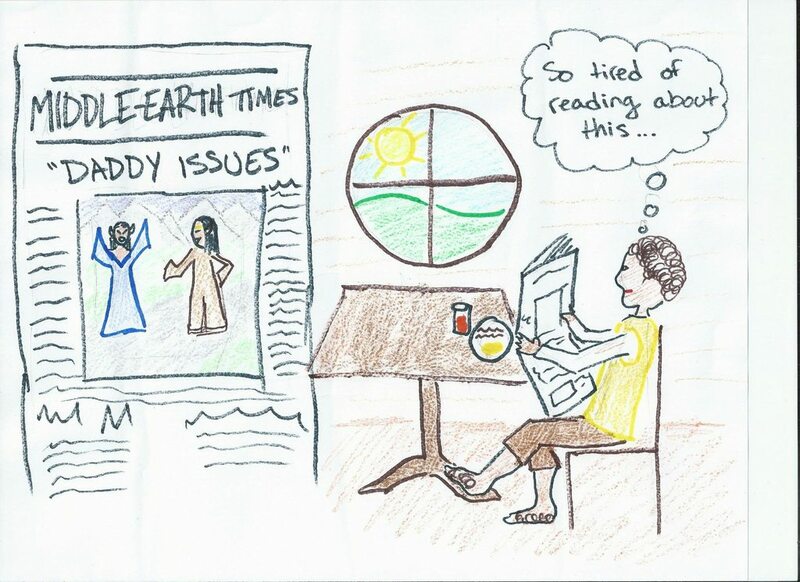 It is pretty cool that the subjects depicted kept changing all the time. And both the sentences and the pics were splendid. My top two, though, are Rikae's founding fantasy fathers and then I am super happy for Hookbill utilising The Downer. That was a wonderful way to bring back the memories! And of course thanks to Pitch for modding. This was a great round. That was terrific! Loved every bit of it. And the starting sentence was great! Thanks for modding this, Pitch! Tilion's mood swings certainly won't be! Loved all the sentences and pictures. A couple that deserve an extra bow, I think, are Hook's Downer (yay! It's back! And with amazingly accurate text too! 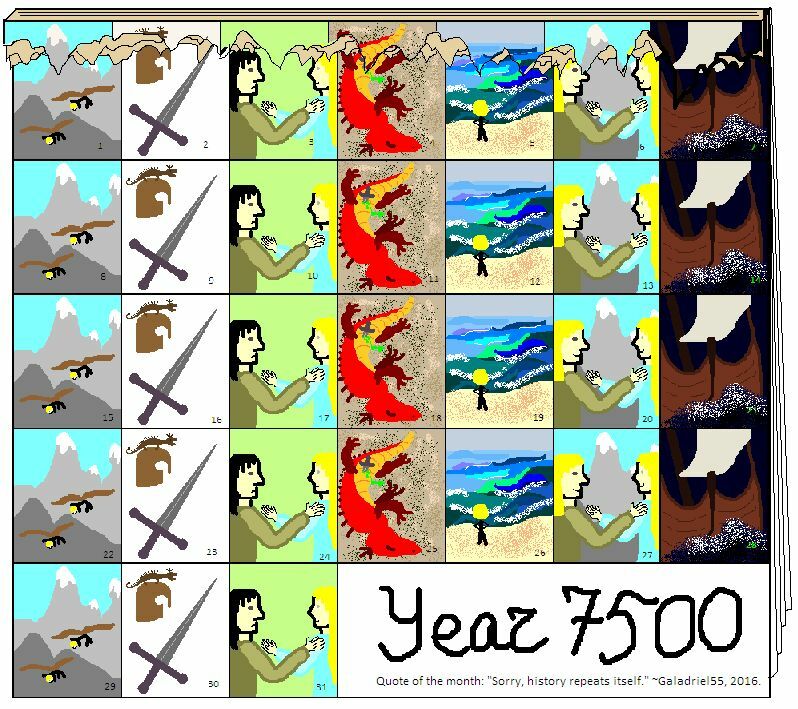 ), Oddwen's legless Legolas, and Legate's monotonous calendar, which made me chuckle. I was also really amazed by all the great artwork! I second (third?) liking the constant changes. I loved how one picture or sentence would drastically change the topic or bring in hilarious new elements. This was fantastic! Let's do it again! 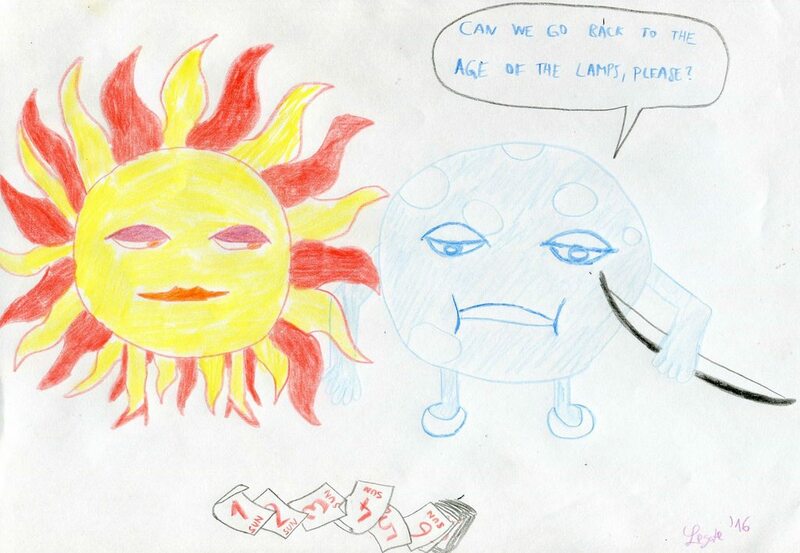 The drawings by Greenie and Rikae were my favourites, though it was Lommys that made me laugh the hardest. The Downer made a neat cameo, and made the readthrough last a little longer (I assume we all read the full text). It was a pleasure to mod for you crazy inventive people and watch the subject change this way and that way. Thanks to all of you for playing! 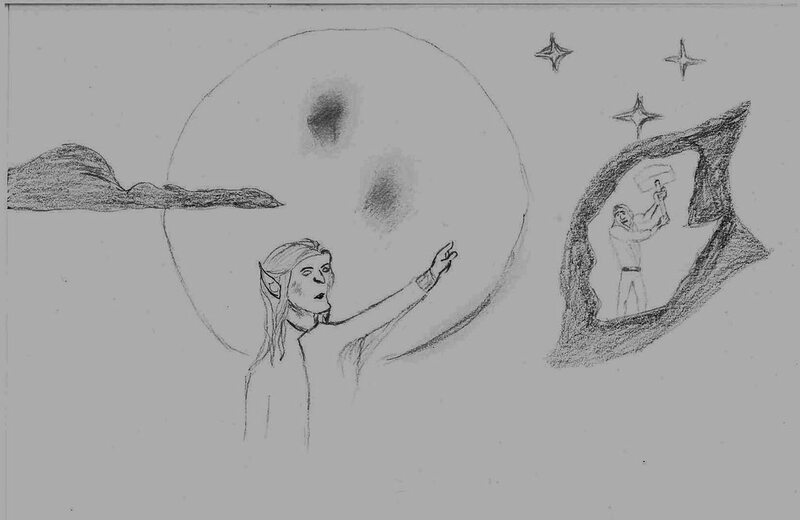 I loved Oddwen's picture and the sentence by Legate which prompted it, Rune's interpretation of 'superstar' as 'Eärendil' (thumbs up for that), Greenie's Gilgaladriel, Rikae's founding fathers (that was one of the best! ), Gal55's calendar, which was a great way to visualize Nog's rather abstract sentence, Hookbill's Downer page (pure nostalgia, and yes I read the whole text too! ), everything about Tilion, Lommy's green Círdan (he isn't ugly, he's cute! But what about Abraham Lincoln?)... Great stuff. Who's next modding? I'll play. 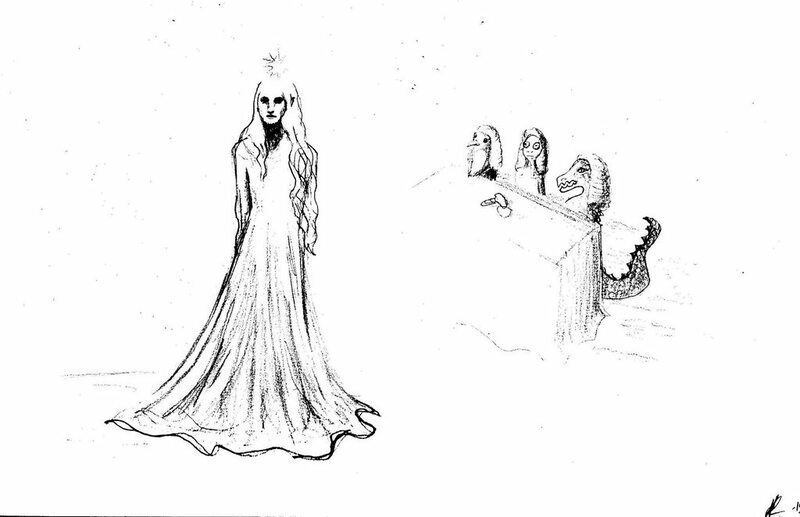 My favourites include Eönwë's picture (that palantír! ), G55's sentence, Form's picture (that remote! ), the whole court/founding fathers thing (amazing pictures, Greenie and Rikae! ), the whole cloud thing (I love Rune's picture and how it becomes Gimli-shaped cloud which in turn becomes old man yells at cloud). 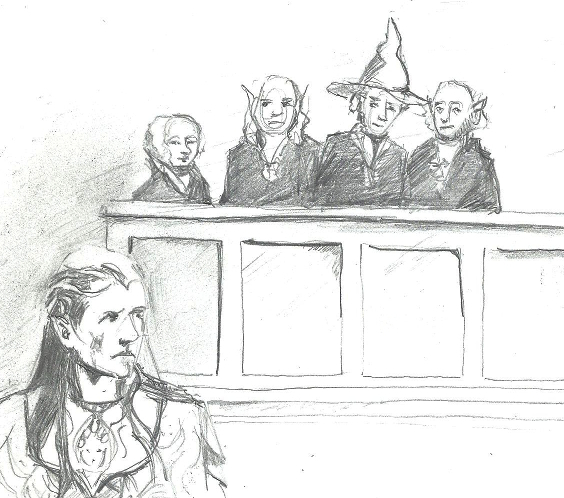 My absolute favourite is Lommy's sentence though: "Even having friends in the jury won't save Elrond this time." So to the point and cruel. It seems to have been half a year, but I'm happy to mod the next round. I'll play, just don't make me draw in the next two weeks. After that I should be okay. Well, seeing how sluggishly people have been posting on Mirth lately, I doubt you'll have to do much anything in two weeks. It pays off to advertise on facebook. Looks like we can start soon then! I'll randomise the order and send out the first sentence later this weekend. Last edited by Aganzir; 09-17-2016 at 03:21 PM. As you remember, drawing time is three days and writing time 2 days. Please turn on email notifications for private messages if you haven't already, because tempting as it would be to send people their tasks on facebook messenger, I'll primarily try to stick to the Downs. Let me know if you need to be moved. Last edited by Aganzir; 11-08-2016 at 03:52 PM. Hey! I said I'd play! Put me on the list, you villain! Whoops! And I was even wondering why you weren't playing, so much so that I went to check if you'd signed up in the facebook group! Don't know how I completely missed your post here. I'll be travelling from tomorrow till October 13th with only sporadic internet access, but at this pace I should be back before my turn comes. Just saying. Okay, thanks for letting us know! If your turn comes before then, I'll swap you with somebody. Have a good trip! I will stall for you if it picks up. Aganzir loves it when I do that. Impressive. Looking forward to seeing how it has evolved. Let me just say: it has. Well, shoot. I think I must have logged out of Facebook the first week this PT game was being set up and I completely forgot to join! Would there, perchance, be a spot for me? I'm going to add you to the end of the list! We're already on round 2 but your contribution is most welcome. Indeed it has, you will have my contribution tomorrow. Hey sorry for the delay in updating the list and making it look like Rune was taking ages - I was travelling and generally busy! Anyway we're down to Pitch, not long to go now! 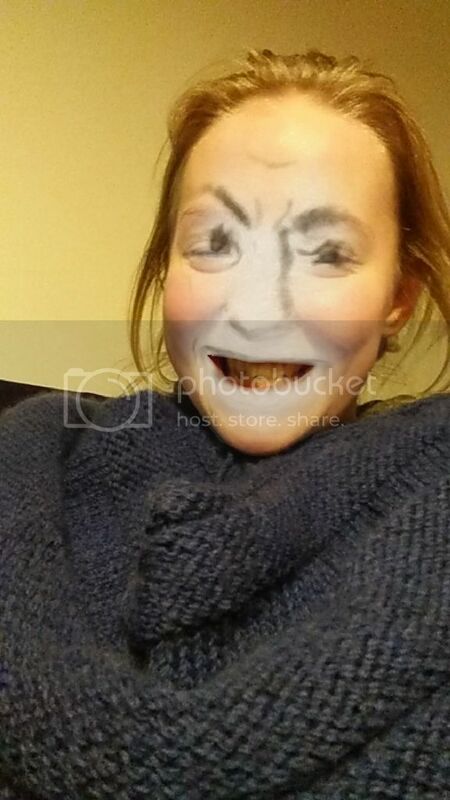 As a teaser, here's my face swap with the picture I drew (had to step in at one point to cover for someone). Enjoy!